And if this is the case, does this mean that a Christian is implicitly accepting philosophical positions or at odds with, say, Christian anthropology or the natural law more broadly? Is it the case that a Christian who supports the market economy, or more specifically, the choices, habits and institutions that constitute the market economy, must accept, for example, the essentially positivistic premises of a Milton Friedman, or the social evolutionary views of a Friedrich von Hayek, or the utilitarianism and Epicureanism of a Ludwig von Mises? Or can a consistency of position can be established between Christian belief and practice and the market economy, such as that associated with thinkers such as the savior of the West German economy after World War II, the Lutheran Wilhelm Röpke, the Catholic theologian Michael Novak, or the Anglican economist Brian Griffiths? A great deal depends upon what we mean by words such as “liberalism” and “the market.” The word “liberalism,” for example, is a wonderfully pliant term. It is used to label a range of positions, some of which have little in common. Both the political theorist John Rawls and the economist Friedrich von Hayek, for example, are commonly described as “liberals.” Yet it is difficult to imagine two individuals whose views on many matters are more opposed to each other. This only underlines the fact that it makes little sense to ask whether a set of proposed practices and principles are “liberal” or, for that matter, “conservative.” Reasoned inquiry should ask whether an idea is reasonable and therefore true, or unreasonable and thus untrue. I would like to suggest that it is possible for a Christian to support what is conventionally called a free market economy without necessarily accepting what might be called “liberal” philosophical premises. I will offer two reasons. One is historical: capitalist economies precede the emergence of philosophical liberalism by several centuries; indeed, they first emerged in a Christian Catholic world. That suggests that, historically speaking, capitalism is not dependent upon liberalism. Second, I will suggest that the case for the market, the case for economic freedom and its underlying habits and institutions can be grounded on a Christian vision of human flourishing. Capitalism is conventionally associated with the ideas of Adam Smith and the rise of industrial capitalism in the nineteenth century, called by many the golden age of liberalism. It remains, however, the case that the basic habits, institutions, and basic conceptual tools associated with the market economy existed centuries before Smith and nineteenth century capitalism. Likewise, the medieval historian the late Robert Lopez goes so far as to describe the economic changes of the Middle Ages as nothing less than a Commercial Revolution. The growth of population in tenth century Western Europe, Lopez argues, necessitated an expansion of agriculture and the development of new agricultural techniques. This provided enough in the way of surpluses for commercial activity with a strong profit-orientation to undergo rapid development, especially in Northern Italy. The increased pace of market-exchange lead in turn to the emergence of more convenient financial tools, such as sophisticated contractual arrangements for sharing risks and profits, a refined banking system, and, above all, easier means of credit. As Lopez describes it, “Catholic Europe moved from stagnation at the lowest level to a social and economic mobility full of dangers but open to hope” towards the end of the tenth century.4 The vicious circle of low production, small consumption and population decline that had followed the Roman Empire’s slow-motion implosion was broken by what another medievalist calls a “spectacular transformation” in Western economic life.5 Population growth and technological innovations (such as the application of machine power to agriculture and manufacturing) led to more intensive farming. This produced more products, industry, trade, and, most importantly, surplus capital: capital that could be mobilized for investment and which could help move society beyond subsistence economies. Some of the intellectual influences underpinning market culture came from medieval writers who had read Cicero’s De Officiis. One of the most widely perused texts in medieval Europe, its pre-Christian author underscored the notion that to violate someone’s property was to do enormous damage to the social order. But Black goes to some lengths to demonstrate that market culture’s stress on personal liberty as profoundly valuable came straight from Christianity.12 The Christian faith stressed that humans had been liberated from sin, and not just as a race but individually as well. When linked with the Church’s stress upon man having free will—a theme constantly underlined by medieval theologians¬—and equal dignity, it created a powerful cultural and political dynamic that was almost irresistible. In economic terms, this translated into many things: freedom to create, freedom of association, freedom of exchange, and freedom to contract. The notion of equal dignity also gave powerful grounding to the idea of everyone’s equality before the law. Growing legal recognition of these liberties and protections encouraged the legitimacy of relatively free-floating economic relationships, as distinct from the more communal types of connections encouraged by guilds and corporatist thought. Medieval market culture also derived support from the prohibitions in the Ten Commandments, which, in their absolute condemnation of stealing, murder, lying, and unfaithfulness, highlighted the essential wrongness of arbitrary behavior. Another Christian contribution to the growth of market liberties and practices resulted from the epic medieval clash between church and state known as the “Investiture Controversy.” At the core of this eleventh century debate was an argument about who appointed bishops: the church or the monarch? The Church’s freedom from state-control had always been implicit to the Christian faith. Once, however, the church’s liberty (libertas ecclesiae) from the control of secular rulers had been formally accepted, the application of the principle to other spheres of life could not be stopped. If the church was free, many asked, why should not other groups and individuals enjoy similar freedom under the law as well as liberty from excessive government control? To this I could add the insight of the economist and historian of economics, Joseph Schumpeter that “by the end of the fifteenth century most of the phenomena that we are in the habit of associating with that vague word ‘Capitalism’ had put in their appearance, including big business, stock and commodity speculation, and ‘high finance’.”14 It’s also true that an environment of immense economic change stimulated many Christian scholars from the eleventh century onwards to rethink a number of subjects, such as the workings of prices and the nature of money. Over time, they developed a series of important insights and clarifications, the most significant being a clear distinction between usury and legitimate forms of money-lending. Scholastic economic thinkers addressed these questions in the context of moral theology and law. The sophistication of their analyses was such, however, that as Schumpeter could affirm that “we behold an embryonic Wealth of Nations” in scholastic thought.15 Much of that commentary focuses on the nature and limits of property. But scholastic writers also wrote on other issues relevant to economic life, such as contracts, bankruptcy, compensation, credit, money, capital, prices, exchange, trade, and the state’s economic role. Economists as different in their economic views such as Hayek,16 John Maynard Keynes,17 Lionel Robbins,18, 5th ed., Warren J. Samuels and Steven G. Medema (eds. ), (Princeton, NJ: Princeton University Press, 2000), pp. 26-34.] and Schumpeter19 have acknowledged the contributions made by medieval and early modern Scholastic thinkers in explicating the working of devices such as free prices. I mention all these things to point out that all these economic and intellectual developments occurred in a profoundly Christian and un-liberal world. To be sure, there was considerable conflict between what might be called the market economic culture and another economic culture: i.e., corporatist and guild culture. Yet it remains the case that recognizably capitalist economies and ideas emerged in a profoundly Christian world and was not recognized as somehow inimical to Christian belief and practice by Christians of the time. Let us now move, however, to the present and an economic world profoundly influenced by the ideas of Adam Smith as well as authors conventionally labelled as “liberal.” Perhaps the first thing to note here is that Smith’s Wealth of Nations is not a critique of Christianity or natural law, let alone economic arrangements grounded in such things. Rather, it was a critique of the mercantilist economic system. At the core of mercantilism were two things. The first was cozy relationships between certain business leaders and the government. The second was the extensive use of tariffs, quotas and even bans on certain imports to protect domestic manufacturers. Mercantilists wanted to limit competition (particularly from foreigners) rather than embrace competition as a discipline that helped companies and countries discover and develop what they did best in terms of low-costs and high-returns relative to everyone else. Much of Adam Smith’s Wealth of Nations amounts to a critique of what he called “the mercantile system.” Smith observed that, contrary to mercantilist doctrine, free trade encourages people to specialize in what they are good at, or what economists call “comparative advantage.” This promotes economic growth and lowers prices over time, something that directly benefits lower-income people. Smith was equally critical of how mercantilism promoted collusion between the already rich and government officials. Established merchants didn’t like competition that might threaten their dominance, while government ministers and civil servants wanted the tax revenues and guaranteed political support from the very same merchants. Mercantilist policies cemented this cozy alliance. Under mercantilism, the “losers” were (1) those without political connections, (2) consumers required to pay higher prices for lower-quality goods and (3) employees encouraged to stay in industries that became less and less competitive and thus less and less viable. My point here is to underscore that Christians had nothing morally or economically invested in mercantilist arrangements. Indeed, to the extent that mercantilism elevated privilege over merit, and actively blocked those without connections from prospering, Christians arguably had good reason to oppose it. These were some of the reasons why Edmund Burke—very much a Christian and widely viewed as the founder of modern conservatism—was such an admirer of Smith’s book. Smith, however, is also viewed by many as a father to what is often called “classical liberal” thought. Whether Smith would have understood himself in these terms is, I’d suggest, unclear. Many Smith scholars have observed that elements of natural law thought are at work in the background to Smith’s development of modern economics. These are certainly mixed in with Epicurean, Stoic, and Humean ethical claims.20 But it is not clear to me that Smith’s economic analysis, which itself relies on the distinction between the means and ends intentionally chosen in an action and the foreseeable and unforeseeable side-effects of the very same action (what might be called “the invisible hand” writ large), or cost-benefit techniques are in themselves dependent on accepting, say, David Hume’s understanding of human action. Classical liberal thought, however, is one of the most common reference points for those seeking normative ballast for the case for free markets. Scholars popularly identified as classical liberals—or in some cases as libertarians—include figures ranging from the Nobel Prize economists Friedrich Hayek (an agnostic and lapsed Catholic who actually disliked the term “libertarian”) and Milton Friedman (a quiet atheist from a Jewish background with limited time for religion), to Ludwig von Mises (an agnostic Jew, sometime-critic of Christianity, and self-described “paelo-liberal” economist with a penchant for reading Karl Barth). In all three cases, these scholars’ philosophical views were much removed from Christian teaching. That, however, does not necessarily invalidate their significant contributions to the development of economic thought and policy. Mises, for instance, played a major role in singling out entrepreneurship as the variable being ignored by most twentieth-century economists. He and Hayek were also largely responsible for identifying a key problem with central planning: the “knowledge problem” or the assumption that governments and government officials can assimilate all the knowledge needed to successfully plan an economy. Notwithstanding this background, what might be called the generic libertarian case for freedom, the free economy and limited government differs sharply from Christian arguments in favor of similar things. In many respects this reflects the fact that many libertarians adhere to extremely weak normative positions that rarely go beyond ascribing significance to what is often called “self-authorship.” In other instances (as in Friedman’s case), the differences appear to flow from their disinterest in, or occasional hostility to, arguments that go beyond utility and efficiency. The type of justifications for free markets and economic liberty that one typically finds in many classical liberal arguments invariably draw heavily upon various forms of utilitarian reasoning: economic freedom, for instance, is indispensable if one wants to create greater wealth in a society for more people over extended time-periods. Closely related to the emphasis on quantification is the claim that economic freedom is essential if one is to have “progress:” the content of which is often left undefined. It may well be true that societies which give significant institutional expression to economic freedom are more efficient in creating wealth for greater numbers of people than, for instance, social democratic arrangements. Indeed, thanks to developments in post-Smithian economics, we can engage in some proximate commensuration of different economies’ relative capacities to produce growth, or understand why, for instance, my native Australia is one of the 20th century’s economic success stories while another Southern Hemisphere mainly European nation that starts with an “A”—Argentina—is the 20th century’s story of economic self-immolation. Second, if economic liberty’s primary moral rationale was its superior ability to create wealth relative to other economic arrangements, such a rationale would presumably fail if some hitherto-unimagined economic system that didn’t value economic freedom proved better at creating more wealth for more people. As language such as “more good than bad” and “on balance” illustrates, Hayek’s rationale for economic liberty is somewhat utilitarian and thus vulnerable to well-known critiques of such reasoning. Moreover, it would not provide a robust defense of economic liberty if it could be shown that other economic arrangements which didn’t value economic freedom released more forces, on balance, for the good than the bad. If then economic liberty is to form part of a Christian vision of society, then economic freedom requires sturdier foundations. There are, I would suggest, several foundations for free markets that may be developed from within Christian and natural law thought. I will, however, only focus on two. The first is that freedom of economic choice and action helps to establish conditions for individuals and communities to engage in all-round human flourishing. I would suggest that the freedom to exercise economic initiative and the institutions which protect this freedom may be rooted in their capacity to help us actualize moral goods that lie at the heart of human flourishing. Take, for instance, the good of practical reasonableness. 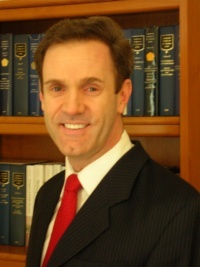 In Natural Law and Natural Rights, Finnis defines practical reasonableness as “being able to bring one’s own intelligence to bear effectively (in practical reasoning that issues in action) on the problems of choosing one’s actions and lifestyle and shaping one’s own character.” Finnis then points out this has negative and positive implications. Participating in the good of practical reasoning occurs in every sphere of life, including in the economy, assuming we have the freedom to do so. The executive who has to make endless decisions about his business in light of his own coherent plan for pursuing human flourishing needs the freedom to deploy this type of practical reasoning all the time. So too do employees as they contemplate in which businesses they might like to apply for a job in light of their own coherent life-plans. Being told who you must work for, or being informed that you have little freedom of choice in how you organize your company, as was the case in command economies, undermines significantly one’s ability to engage in the good of practical reasoning. A second good in which economic liberty may be rooted is skillful performance, or what Finnis identifies as “play.” This means engaging in performances “which have no point beyond the performance itself, enjoyed for its own sake.”26 In this sense, what matters is that the activity is being chosen for its own sake and chosen to be done well. One expression of this good occurs in something that Christianity, following in the wake of Judaism, has always upheld as ennobling of man: i.e., human work—paid or unpaid, whether working for oneself or another person—which allows us to shape the world around us but also to shape ourselves. For when a person creates a new product or refines an existing service, he does not simply change the material product or service. He also shapes himself interiorly by engaging his reason and free will in an act of self-determination and helps man to become a co-creator insofar as they help to unfold God’s Original Creative Act. Participating in this good of skillful performance, I’d suggest, requires considerable economic liberty for individuals and communities since it is in the economy where so much work occurs. Even within a business, people’s opportunities to participate in this good may be encouraged by allowing owners, managers and employees considerable latitude, to the extent this is possible, in how they accomplish their specific tasks. By the same token, if a government or a company unduly narrows the scope for economic freedom on the part of owners, managers, and employees, the conditions that facilitate skillful performance may be unduly undermined. I could illustrate how economic liberty creates opportunities to participate in other basic goods. But let me turn to my second point, which concerns what Christianity suggests about the state’s role vis-à-vis economic freedom. Here I think it is especially important to grasp Christianity’s understanding of the principle of subsidiarity when explaining how the state should carry out its responsibilities in the economy. Perhaps the distinctiveness of the Christian approach to subsidiarity is its emphasis upon subsidiarity as, in Finnis’ view, a principle of justice: that justice, among other things, requires individuals and communities have the space needed to make the free choices through which human flourishing occurs. Subsidiarity is often discussed in terms of how it facilitates a more effective organization of relationships between communities. Subsidiarity’s systematic violation by socialism and some forms of social democracy has devastating effects upon such relationships such as society’s bureaucratization and the weakening of non-state communities that is, for instance, apparent in much of contemporary Western Europe. Subsidiarity does not mean that the state’s scope of economic action is limited to, say, enforcing contracts and protecting property rights, as indispensable as these functions are for exercising economic liberty and promoting justice. But the point of such forms of assistance—and all forms of assistance—cannot be to unduly restrict the sphere of freedom minimally needed if people are to actualize the goods in which they can participate in economic life. So to conclude: the Christian argument for economic liberty, private property, free trade, and a limited welfare state acknowledges the strictly economic case for such rights, processes and institutions, but also goes far beyond them. It provides, for instance, a principled case for the right to economic initiative based on man’s nature as a creative initiator of work and the goods of work and creative reason. Christian critiques of welfare states are not just attentive to their ever-obvious economic costs. They are also squarely grounded on the damage that welfare states can do to people’s opportunities for integral human development. Similarly the Christian case for free trade is not simply about allowing nations, regions, towns, businesses, and individuals to find their comparative advantage. It also proceeds logically from the natural right of free association, and derives further legitimacy from its capacity to help realize the universal destination of material goods across national boundaries. Finally entrepreneurship is understood as more than a discovery procedure that allows us to discern and provide new and better goods and services at steadily-declining prices. Christianity also sees entrepreneurship as derivative of the intrinsic good of work—so much so that even the entrepreneur whose product or service turns out to be unprofitable can still considered fruitful insofar as his choices have allowed him to participate in this moral good. We live in an age in which, judging from most indexes,34 economic freedom and free markets has been in decline in most of the West for more than a decade. Among other things, this may suggest that a culture which values economic freedom needs to be shown that just as religious liberty is not ultimately about tolerance for tolerance’s sake, economic freedom is not ultimately about wealth creation for wealth creation’s sake. Christianity’s vision of human choice and action and its conception of what human flourishing is and how it occurs, I believe, offers one way of integrating a concern for economic freedom into a wider effort for developing a culture in which reason, freedom and integral human development are considered indivisible.